Working with a network of charitable organisations dedicated to reuse, we are diverting millions of household items from landfill, reducing carbon emissions and giving low-income households access to affordable goods. Our members make a difference. They help low-income households live better by giving them access to fairly priced goods. 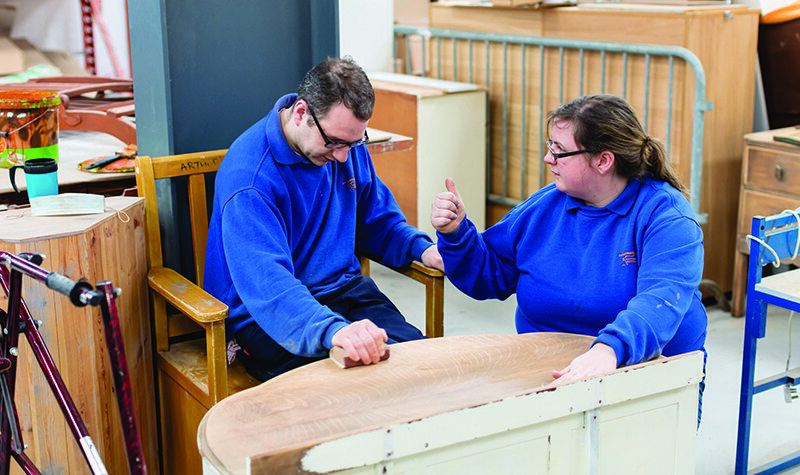 They tackle social exclusion by providing training and volunteering opportunities so that more people can get back to work and positively contributing to their communities. They combat climate change by reducing carbon emissions and cutting waste. We have around 200 members located across England, Scotland, Wales and Northern Ireland. They vary from volunteer-run charities to larger social enterprises who actively work within their local communities. Started in the 1980s as a way of diverting household items from landfill and into the homes of families in need, the reuse sector has grown to become much more than simply a redistribution exercise. Our members are now seen as pillars of their communities, providing job and volunteering opportunities, offering debt advice, running food bank and hosting creative upcycling sessions. When toogoodtowaste found themselves with a mountain of duvets and pillows they couldn’t resell to households, they used their social media channels to find an animal shelter that could use them for bedding. The post reached more than 860,000 people and a home for the duvets and pillows was found. Use our service finder to find your local reuse charities.